I was offered a spot to take place in a project with Global Teenager Project (GTP http://www.globalteenager.org/) with my science class this semester from my Vice Principal and Anita Townsend representing GTP. The project uses wikis, learning circles and research to answer global questions. Our theme was the environmental sustainability and we were in a collaboration with Kenya, two other Toronto schools, Liberia, Ghana, two from Romania, and Hungary. Students first introduced themselves and shared information about their community and culture. The main mode of communication was on a wiki. This allowed for a fluid and collaborative platform. Questions were formulated by each group that were later to be answered by each country. 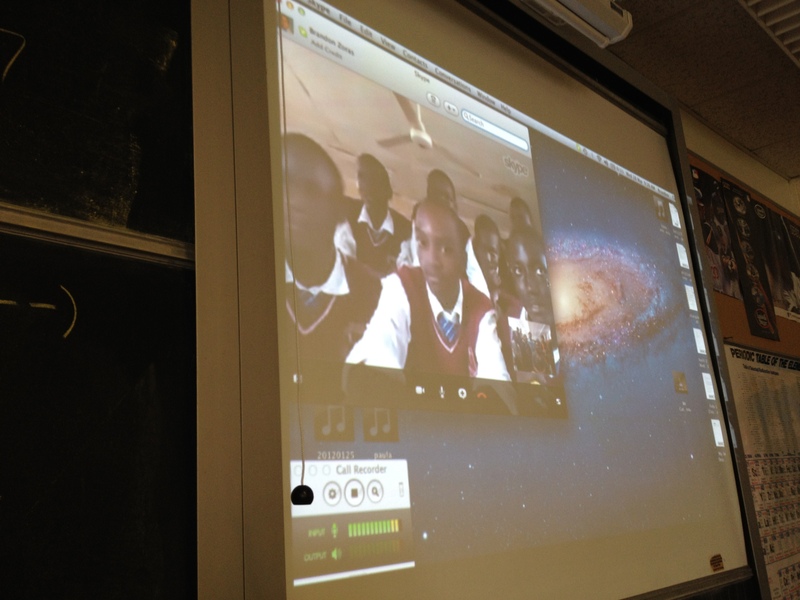 Upon emailing the Chavakali High School, we decided to try a Skype video call between the students to introduce each other and then have a further session to discuss our questions revolving around sustainability. Ms Sugai is the teacher in charge of the tech club who is from JICA (Japan International Cooperation Agency). The Skype session was one of the most engaging activities I have seen students participate in. Both groups high school students realized how similar they actually are, including school, sports, music tastes and food. We also shared our traditional aspects of our cultures that each group had a rich diversity and strong interest in each other. This laid the foundation for our next session where we will go in more depth about environmental sustainability. This is such an amazing way to view the environment as a global issue. Students can see that students in another continent are concerned about the environment and are just as worried about the health of our planet. The youth are the next wave of people to make a major difference as they can educate their parents, make smarter choices now and develop a way of life that is sustainable.